WELLINGTON, New Zealand, September 19, 2011 (ENS) – New Zealand’s largest conservation organization today lodged an appeal against a permit granted by the New Zealand government for an open-cast coal mine on Denniston Plateau conservation land. Open-cast, also called open-cut or open-pit, mining is used when deposits of minerals or rock are found near the surface. This form of mining is different from extractive methods that require tunneling below the surface. Forest & Bird is appealing against the resource consent granted on August 26 to Buller Coal for the 140-hectare coal mine, known as the Escarpment Mine Project, in Westport, in the West Coast region of New Zealand’s South Island. This is the third appeal to be lodged with the Environment Court of New Zealand against the proposal by Buller Coal, a wholly-owned subsidiary of the Perth-based Australian company Bathurst Resources. The Buller project area surrounds the state-owned company Solid Energy’s Stockton open cut mining operation. Previous exploration on the project area has established potential for an initial 50 million metric tonne resource, Bathhurst says. The company aims to begin operations in late 2011, and expects to produce around one million metric tonnes of coking coal annually. 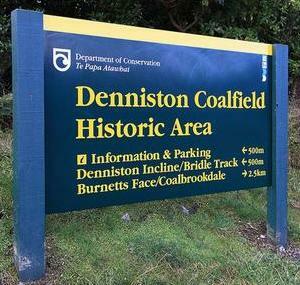 During the early years of the 20th century, coal from the Denniston Plateau supported the region until declining coal markets and a 1968 earthquake practically shuttered the industry. Some elected officials support the Escarpment Mine proposal. 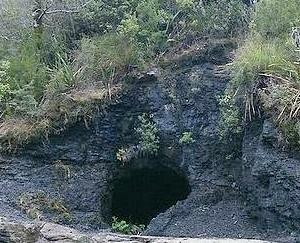 West Coast Tasman MP Chris Auchinvole says a new mine would boost the region’s shaky economy. Grey District Mayor Tony Kokshoorn told Radio New Zealand the project could mean work for many miners who lost their jobs following the Pike River mine explosion in November 2010. Kokshoorn says the region is on the cusp of a coal mining boom due to the rising price of coal. 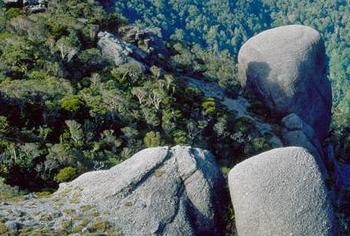 But Cutler said the plateau should be protected for all New Zealanders to experience and enjoy. “If the open-cast mine goes ahead, all New Zealanders will lose access to a beautiful and historic area, and its outstanding natural values will be obliterated,” said Cutler. Forest & Bird wants to protect the plateau’s rare landscape and nationally endangered animals, such as the great spotted kiwi, the fernbird and the carnivorous giant land snail, Powelliphanta patrickensis. “This is an incredibly diverse natural plateau with bonsai gardens of rata amid expansive sandstone pavements and wetlands. Pygmy pine forests dominate in moss-covered gorges, and rare tussocklands stretch across this mountain moonscape,” said Forest & Bird Top of the South Field Officer Debs Martin. “The commissioners said they granted the consent with ‘considerable reservations and anguish.’ They agreed the plateau and its inhabitants were ‘remarkable,’ and the mine and processing plant would destroy 200 hectares – yet they believed the economic benefits outweighed this destruction,” said Martin. “With such undisputed importance, we believe the commissioners erred in their final weighting,” Martin said. In 2005, the New Zealand Environment Court rejected an appeal by Forest & Bird against the Cypress Opencast Mine in the same area by the the New Zealand government-owned Solid Energy. 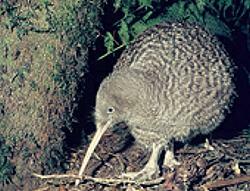 That appeal was based on the harm the groups said mining will do in the unprotected wild area inhabited by the great spotted kiwi, a subspecies of New Zealand’s vanishing national bird. Currently, there are more than 70 mines on Department of Conservation land, but many New Zealanders are opposed to mining conservation land. On May 1, 2010, at least 20,000 marchers joined one of the biggest protests in Auckland for decades, to tell the government to stay away from mining on conservation land. Forest & Bird has proposed a new 5,900-hectare reserve on the Denniston and Stockton plateaux to protect the last remaining habitat of several endangered species. The reserve would be included in Schedule 4 of the Crown Minerals Act to stop it being mined in the future. It would cover publicly-owned land on the Denniston Plateau, the upper Waimangaroa Gorge, the southern Stockton Plateau, and the Mt. William Range.